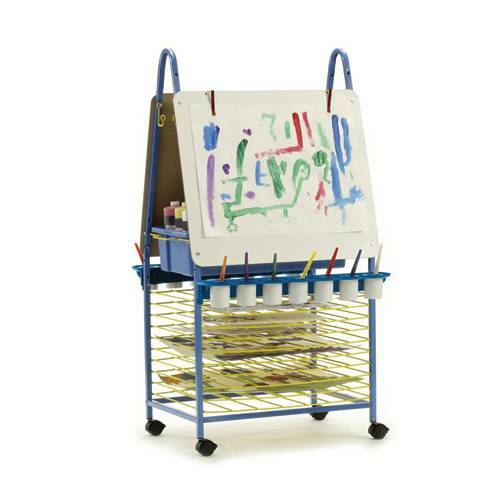 This sturdy art easel has a dry-erase painting surface on both sides. It can be adjusted to two different heights. The 10 built in drying racks keep paint projects contained in the easel. It also includes a sliding tub for storage of art materials, apron hooks, large art paper clips, two removable paint trays with 7 paint pots and spill-proof caps, and locking casters.